Located at 170km from São Paulo, and right next to Monte Sião, with complete leisure structure for all the family with monitored recreation at vacations, holidays and weekends. 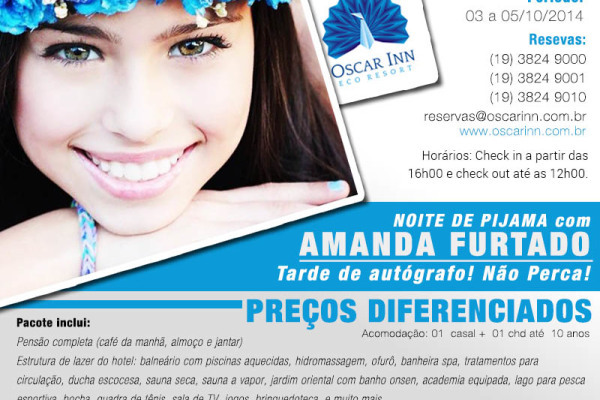 We have accommodations that are equiped to fits all guests: Standard, Lux and Master. Come relax in our spa with sauna, heated pool, ofuro, oriental massage, among others. Come get to know our complete structure for those who like to pratice sports or just want to have fun. 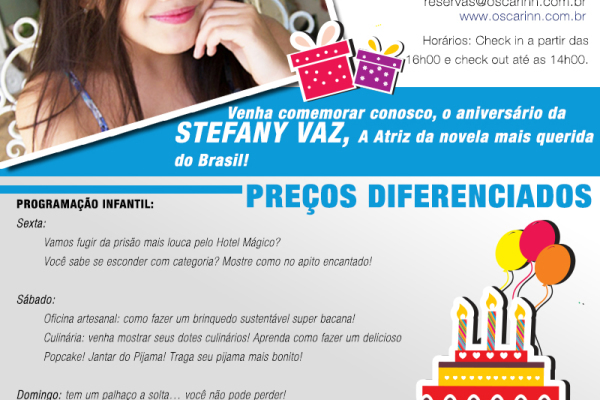 Come celebrate the birthday of Stefany Vaz, from the most famous children’s novel of Brazil! 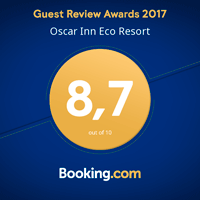 The Oscar Inn Eco Resort was awarded with the TripAdvisor Excellence Certificate, which recognizes the quality of the top rated places by the travelers. Excellent infrastructure, service, cleanliness and accommodation. Local with a lot of nature and great for relaxing. 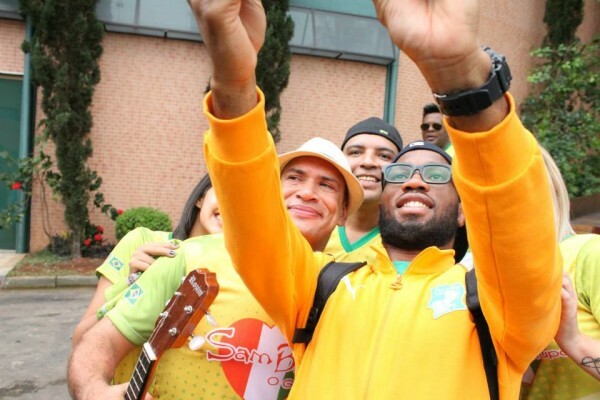 For those who like to work out, soccer fields and well-equipped gym. Follow us and stay informed about all the news from the resort!